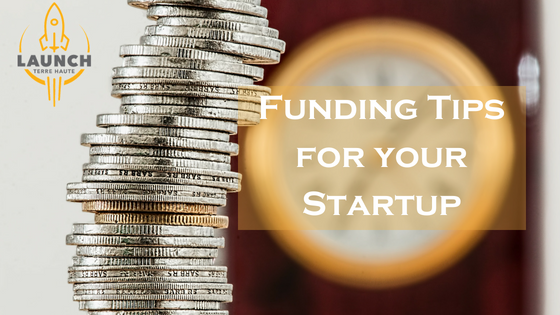 You have a great business idea, and now you’re probably thinking; how can I fund this startup? Funding and finances are a big part of the startup landscape. But, it can be difficult to do. We all hear those wonderful stories about multi-million-dollar investments and the next big thing, which drive our own needs for that next million (or billion) dollar idea. If you’re ready to take that leap and start your own business, here are five tips to help you raise some capital to get you started. Crowdfunding – Websites like Kickstarter are a great way to get funding for your startup. Make sure to act carefully though. You hear success stories all the time on Shark Tank on how new business entrepreneurs received over $500,000 from crowdfunding, but you also hear just as many sad stories of people hardly making a dime. In order for crowdfunding to work, you must be good with social media. You also need to make sure your content and campaign is innovated and very creative for your company to stand out against competitors. Small Business Grants – Ever heard of the Small Business Administration or the Small Business Development Center (SBDC)? The SBA organization offers grants to businesses that are run by veterans, women and minorities. And, the ISBDC can provide services and training for low or no cost to help you get your business idea further ahead. If this speaks to you, check with your local chapter or Chamber of Commerce to see if there’s any grants that you can apply for. Just be careful to read between the lines; you want to make sure you know what you’re signing up for. Apply to local investor groups – There are lots of investor groups in nearby Indy, but we’re working hard to create one here in Terre Haute too. Groups like this exist In most cities. It’s a group of people or companies that are willing to spend money supporting qualified startups. Hint, qualified. Before applying to these investors, make sure to have all your ducks in a row. Have a plan, team, know how much money you need and what it will specifically go towards. If you’re not on your A game, your application could get bypassed. Ask Your Friends and Family – It can be difficult to ask the people closest to you for help, but if they see how passionate you are about your dream, they’re more likely to believe in it too. Not to mention asking people you know will be a lot easier compared to asking big time investors. The only advise we have here is to be aware that borrowing money from family and friends can turn a great relationship into something negative quick. It’s a good idea to seek legal advice if the funding is a substantial amount and have terms for repayment like you would for any loan or investment. Join Local Coworking Communities – Coworking spaces are becoming more popular by the day. It’s getting easier for people to find one in their community and join. Coworking is a great way to get your foot in the door when it comes to funding help because they, like us here at Launch Terre Haute, help you every step of the way. As coworking spaces, we can introduce you to the right people for the right job, you can network and potentially barter with our members, use all our beneficial resources and much more. Starting a new business is daunting and figuring out how to get the funds to support your company can be intimidating. At Launch, we welcome new members and it is our mission to help them get on the right track to success. When you become a member at Launch, you gain a business family that will forever be by your side. Contact us today so we can help and watch your business grow!